We’re a little bit bigger. So I am now Writing a Blog that I have been wanting to write for 4 weeks, I am not good at keeping secrets so much so I have told my family and friends already. I promised Mel I would not tell Facebook until today. Well it’s today so I can now tell you all. It’s official I am going to be a Dad again! Let me go back a few weeks when we first found out. Mel had been telling me she thought she was pregnant and that we should do a test, but I have to admit I didn’t think she was, she couldnt be she was on pill we were being careful. I kept telling myself and Mel she can’t be pregnant it’s just normal that she is late it must be the pill she is on causing her period to be late. I eventually gave into Mel saying she was sure she was pregnant as she was feeling sick and she had never been this late before. I bought the test after finishing work and brought it home gave it to Mel and she did what she had to do, three mins later she came down the stairs with that unmistakable smile across her face that only says one thing. She was pregnant. I took her in my arms and hugged her so tight. I was made up I could not have been happier. Now for a little confession this was not exactly planned, Mel was on the pill and we weren’t actively trying, we had spoke and decided we did want another but my mental health was stable and I was doing so much with #PNDdaddies that now wasn’t quite right we were going to start trying in 2018, I remember asking Mel if she could have forgot the pill much to her annoyance but I had to ask. Mel reassured me she hadn’t missed a pill so I concluded that I have super sperm that can break down the “pill wall”. This baby might not have been planned for right at this moment but it is exactly what we wanted a third baby just like we always said. I don’t talk about my faith much but I will say this, it wasn’t planned by me and Mel but God certainly thought now was the right time, in my eyes there can’t be an accident, Gods timing is always right and he wanted us to have our next baby now. It’s all a grey blob to me. 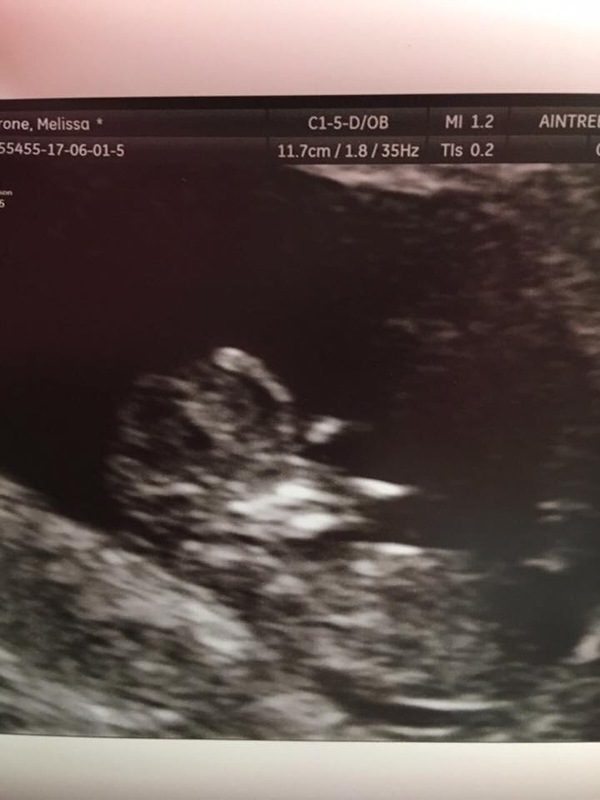 We went for our scan today and we have to admit we were a little anxious our daughter said Mel was pregnant before we did the test and has told the world and her mother she was having twin baby’s. I breathed a sigh of relief when we were told it was only one healthy developing baby. As the midwife pointed out all the bits of the baby (I have to admit it all looks like gray blobs to me) I couldn’t help but feel so proud. We made this little 4cm developing baby. And I couldn’t think of anything better than being a Dad of three, I do have some anxiety and I will blog about them but right now this is a happy time, I am going to have another amazing little person in my life I get to do it all again. My only anxiety right now is the due date 20th December, I don’t want baby to be late and come half way through my Christmas eating and drinking but that’s just me being a man. Baby will come when he or she is ready and I can’t wait.. 6 more months is too long.